The OSHA fall protection enforcement extension ended on March 15, 2013. It’s imperative that you get training to meet the requirements as soon as possible. But many are delaying meeting this requirement, thinking that OSHA won’t be watching their work habits. Sometimes, we need to put a face on these preventable tragedies to make them hit home. 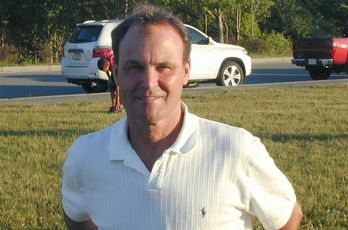 Posted online July 26, 2013 – James J. McNally, 61, owner of James J. McNally Roofing and Siding of Sandwich and a Cape Cod Baseball League deputy commissioner, died Thursday after falling from a roof. In local news this summer, a Massachusetts resident died from a preventable fall. James J. McNally, owner of James J. McNally Roofing and Siding of Sandwich was 61. Years of job experience didn’t protect him from falling 35 feet while working on a roof. One of our popular trainers is Mark Paskell of The Contractor Coaching Partnership. He will be offering his next OSHA Fall Protection training class on Thursday, November 7 from 8:30am to 3:30pm at our Mansfield location. The cost is $225 and includes lunch. Our training will help you comply with the Fall Protection Standard, protect your workers and be ready when OSHA visits your job site. This course is also approved for six (6) Massachusetts Continuing Education Credits towards the new CSL requirement. The approved Massachusetts course number is CS7502 CSL-CD-0075. • Create a written fall protection program or plan for your company describing your practices and the equipment you will provide for your workers to protect them from fall hazards. • When working 6 feet above the ground or other surface you must use one or a combination of the following — guard rails, fall arrest systems and safety nets. • If you can prove using one of the three standards is infeasible, you must write a site specific fall protection plan showing alternative methods and keep it on site. • You must effectively train your workers and prove through documentation that they were trained. Who should attend: Business Owners, Estimators, Foremen, Crew Leaders, Superintendents, Project Managers and any contractor who works at heights of 6 feet above lower levels. You will be provided with numerous Forms, Templates and Tools to implement this standard into your business. You will be shown the type of equipment you will need to meet the standard and where you can find it. You will receive a Certificate of Completion at the conclusion of the training. National Lumber is pleased to help make training on multiple topics more convenient for our customers by hosting various training companies in the Training Room on the second floor at our Mansfield store. You will find information about upcoming training opportunities on our website at national-lumber.com/events or national-lumber.com/training. DISCLAIMER: National Lumber is not responsible for the event being offered. Registration and the content are being handled by an outside company. National Lumber is hosting this event for your convenience. By clicking on the links you will leave the National Lumber website and be taken to another company’s website.